Rose quickly when I realised that our coal delivery had arrived. The driver told me he had a long day ahead of him as we chatted while the coal was poured into our bunker. I closed the gate as he left and I looked down at my watch: it was still only half-past seven in the morning. I walked Mix and breakfasted in the farmhouse before Rachel and I set off to do a little shopping – first at Kelso where we visited the garden centre there and then at Berwick, or rather Tweedmouth before returning for a spot of lunch, after which Rachel was back to Berwick to visit her hairdresser. Mum was taken into Duns by Digger to have her eyes examined. I entertained David who had popped in to visit and then there was just time for a shower as I got ready to meet up with everyone at five. Rachel drove us all into Berwick (it was her third visit to Berwick today) and we had time for a drink in the bar at the Maltings before the pantomime started at 6 p.m. There were some splendid performances but for me Beth Lockhart in her first professional performance excelled as Alice. I think that she will be a name to watch and one, who if she gets the right break, could go far. 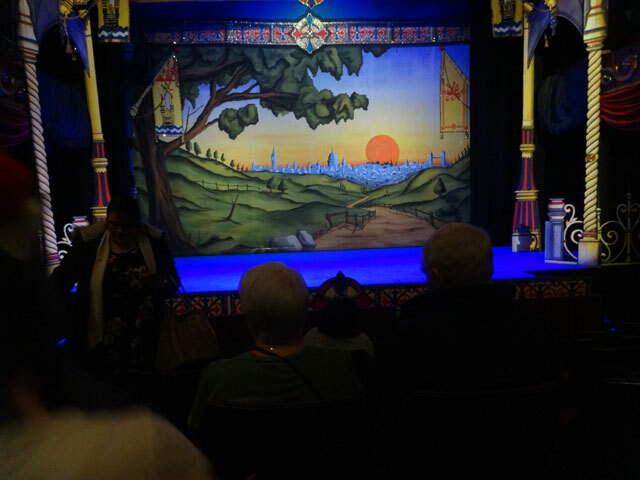 It was a thoroughly good pantomime, traditional and contemporary, full of fun and superbly presented. I will definitely make sure that a visit to the pantomime at the Maltings is part of my Christmas celebrations next year. We collected fish suppers on the way home and ate them together in the farmhouse kitchen. It had been a wonderful evening. Back in the Granary I turned on the television and caught the full horror of all that had happened in Glasgow where a bin lorry had run amok around George Square, possibly – and no-one knows yet – because the driver had suffered a heart attack. What is known is that six people were killed and more than that are seriously injured. A tragedy at any time made more poignant by its proximity to Christmas – but at least (and this is not in any way to belittle what has happened) it seems as though it was an accident and therefore of a different order to the events in France caused deliberately by terrorists. We can mourn and be shocked but the element of anger and outrage is not part of the equation. ‘No man is an island’ runs the quotation, the truth of which has been brought home to many today.